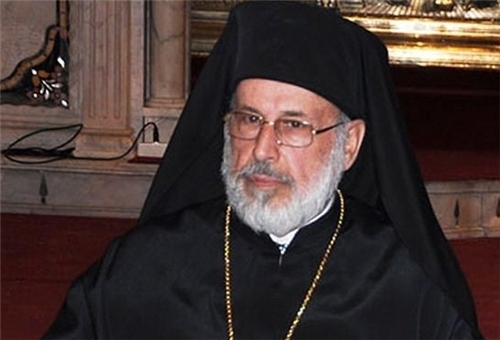 Damascus (Agenzia Fides) – The Metropolitan Greek Orthodox Lukas al-Koury, Auxiliary Bishop of the Greek Orthodox Patriarchate of Antioch, categorically denies inciting Syrian Christian youth to take up arms in the conflict that has bloodied the country, and asserts that the declarations attributed to him by the media “are false”. In a note sent to Fides, Bishop al-Khoury urges everyone to be wary of those newspapers and network that spread pseudo-statements which are manipulated “in this difficult moment that the region is experiencing”. The bishop denounces the intentional dissemination of false news which are part of the same war strategies of the Syrian conflict . A few days ago websites and agencies around the world highlighted the statements attributed to Bishop al- Khoury by the Iraqi newspaper “az Zaman” in which, among other things, young Christians able to take the weapons were invited to “come forward”.